Reduce organics, wastes & excess nutrients caused by fish, wildlife, & water pollution with Orb-3 Water Garden Enzymes. In nature, water remains clear because beneficial bacteria can consume wastes at roughly the same rate that they are created. In man-made ponds this is often not the case – wastes accumulate supporting algae & aquatic weeds. 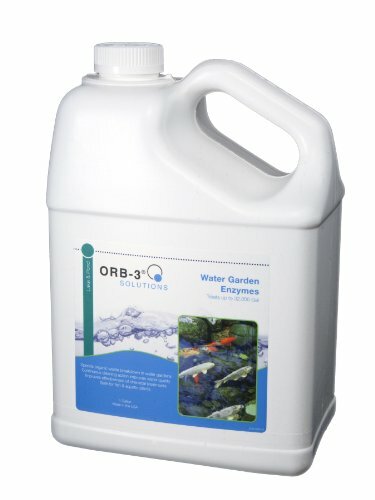 Formulated for use in small backyard ponds, fountains, & water features, Orb-3 Water Garden Enzymes naturally speed up Mother Nature’s process of cleaning water. 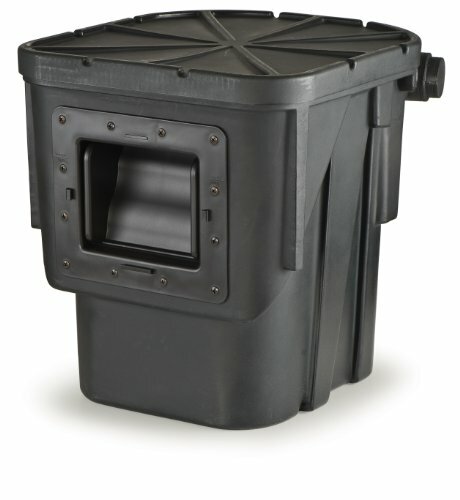 It efficiently removes organic material & suspended solids to naturally inhibit cloudy water & sludge accumulation. Orb-3 Water Garden Enzymes promotes effective biological remediation by rejuvenating existing bacteria, quickly emulsifying organics, & supplying a fortified nutrient package. Enjoy the Orb-3 60-Day Satisfaction Guarantee: if you are not completely satisfied, return it within 60-days & we will refund your purchase price. Initial dose is 4 ounces per 500-gallons of water; thereafter apply 2 ounces per 500-gallons of water every week. Do not over apply. For larger bodies of water use Orb-3 Lake & Pond Enzymes. Dilute recommended dosage with a minimum of 1-gallon of pond water. 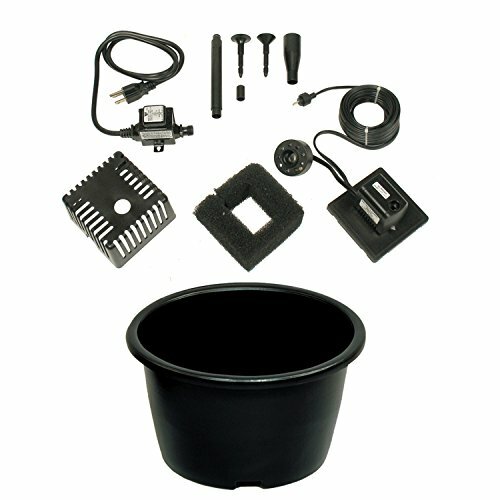 Disperse product evenly over pond surface using a hand-held or mechanical sprayer. For Best Results: Apply when ambient temperature is 50°–90° F; pH is 6 – 8; alkalinity <100ppm. Treat consistently using an automatic feed system such as the Orb-3 2000 peristaltic pump if possible. More dilution upon application & consistent long-term use will enhance performance. This product will stimulate the natural beneficial bacteria. Proper aeration is extremely important to maximize its performance & ensure safety of fish. Maintain aeration & monitor dissolved oxygen levels immediately after treatment to ensure that it remains above 3ppm. Safe for people, fish, & wildlife when used as directed. For best results, use within 12 months of purchase. Made in USA.